Facilities Administrator, Maxine Ashton, will be strutting her stuff along with all our other models at our fashion show with a twist on tonight. This afternoon she took the time to answer the questions put to some of our other Hospice Supermodels earlier this week. What are you most looking forward to on the night? Ok, small spoiler here, but I’m looking forward to my Halloween outfit, my son was born on Halloween and we take Halloween very seriously at Ashton HQ. Do you know what you are going to be wearing? Unfortunately I haven’t seen anything yet, but I have heard about some of the themes and outfits on show and I am very intrigued! 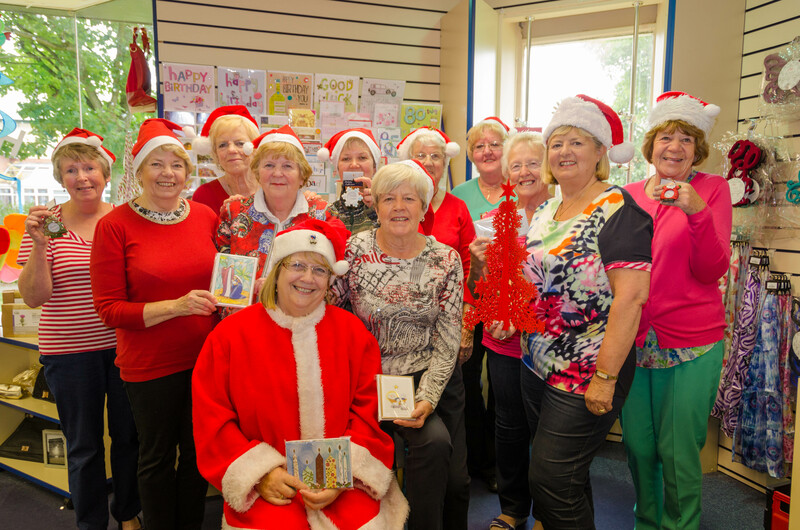 Our models are all members of hospice staff – who do you think is your greatest competition? Hang on I didn’t realise this was a competition – eep! Falling over in my heels – it’s a worry that’s keeping me up at night. How are you preparing for the night? I’ve been timing myself getting dressed – got to prepare for those quick changes between outfits. What music are you hoping will play when you debut on the catwalk? I would love something a bit different, you know.. Slipknot or Metallica, something like that would be good. What are you demanding for your dressing room? Yes I know, its very divalike, but if everything could be left hand friendly that would be perfect. Have you perfected your autograph yet, you are going to need it? No, not yet – I’ll get practising soon! 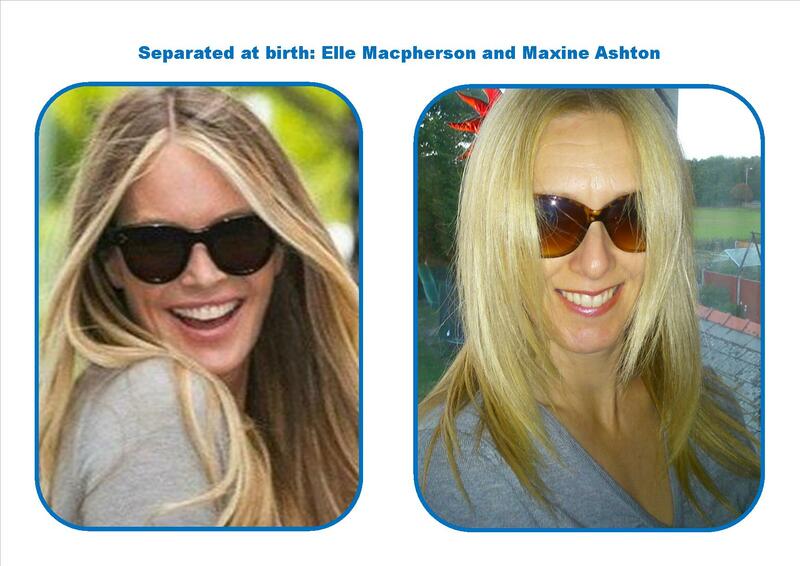 Finally what do you think of the likeness that has been drawn between yourself and Elle Macpherson? Er… I’m very flattered, but there’s not much! If you want to see Maxine and the rest of our models strut their stuff at Heswall Hall on Friday 26th September, call 0151 343 0788 or visit one of our Hospice Charity Shops to buy your tickets. Our fourth Hospice Supermodel to share her thoughts about Friday’s fashion show is Teresa Nightingale – Head of Fundraising who can’t wait to get out there onto the catwalk. I’m really looking forward to falling over in front of all those people… it’s going to be amazing… really. If I’m honest, all of them, they are all at least 3 ½ feet taller than me. I’m really nervous about not walking in time to the music, it will be so cringy if I am out of sync. I will be staying up until 3am the night before, just like all real supermodels do. I don’t know about what I hope they’ll play – it just better not be ‘Nelly the Elephant’! Nando’s and some hunky male models – how else am I supposed to get ready? Have you perfected your autograph yet? You are going to need it! Of course I have, can’t be signing peoples t-shirts, autograph books etc. with a rubbish signature! 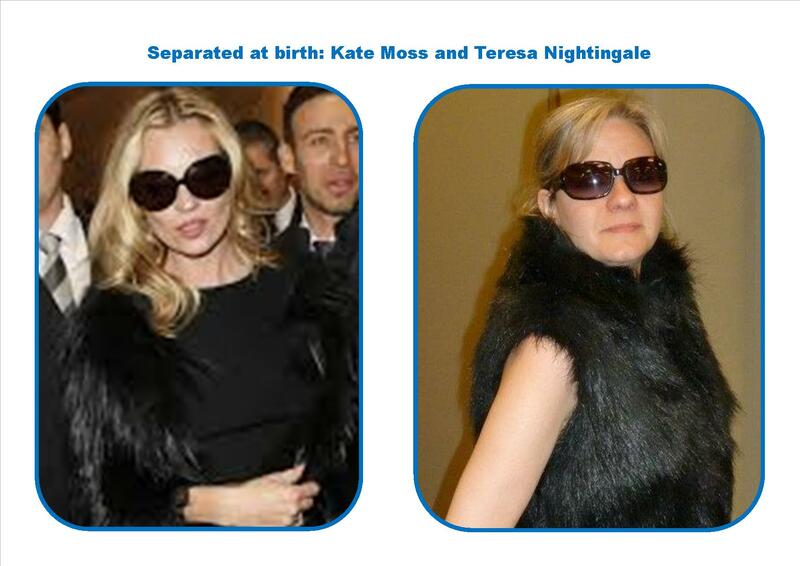 Finally what do you think of the likeness that has been drawn between yourself and Kate Moss? I taught her all I know and that’s all I’m saying on the matter. 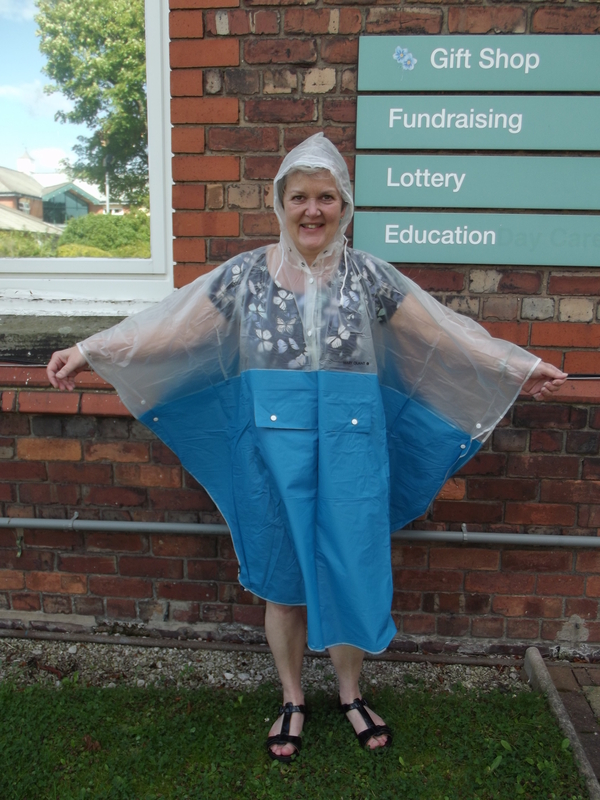 If you want to see Teresa and the rest of our models strut their stuff at Heswall Hall on Friday 26th September, call 0151 343 0788 or visit one of our Hospice Charity Shops to buy your tickets. Our third interview is with Anna Menaul, Housekeeping Manager at Wirral Hospice St John’s; she was very excited when asked for an interview and can’t wait for Friday. where she hopes to be queen of the stage. Donning my top hat, that is going to be amazing. I know what I am wearing on my bottom half… I haven’t been told about the top… that’s worrying me. Falling over, I know everyone says it but definitely falling over. I’m popping on my super high heels all night every night, it’s been like I’ve been standing on a slope for weeks now. Something 70’s and funky, you know, like the Bee Gees. Chocolates, loads of chocolate and a hot masseuse for my poor feet afterwards. No! I hadn’t thought of that – I’ll get practising. 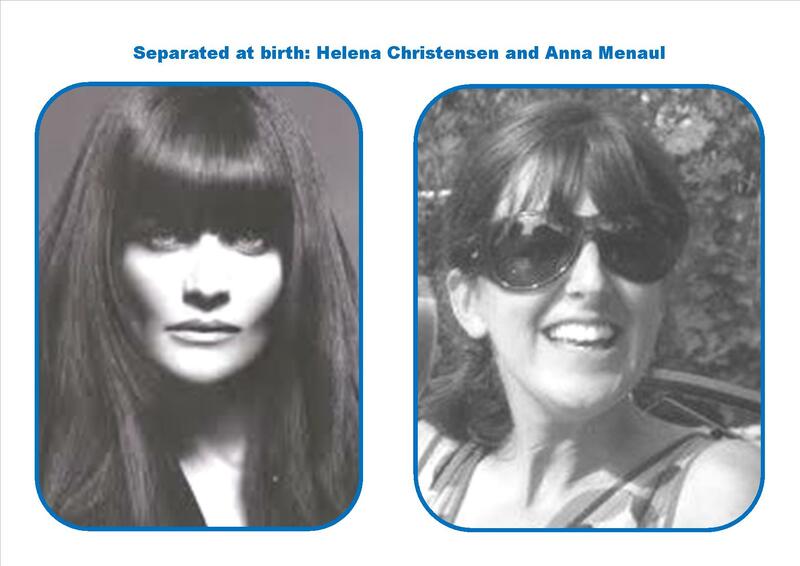 Finally what do you think of the likeness that has been drawn between yourself and Helena Christensen? Just one thing – I wish. If you want to see Anna and the rest of our models strut their stuff at Heswall Hall on Friday 26th September, call 0151 343 0788 or visit one of our Hospice Charity Shops to buy your tickets.